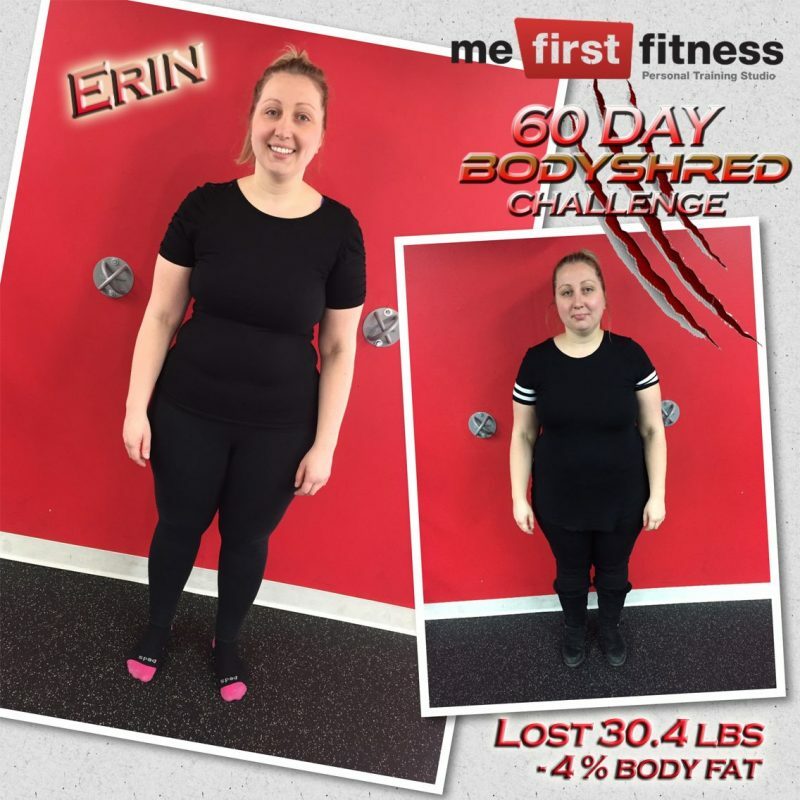 Erin Fast set a new Me First Fitness record in 2017 losing an incredible 30.4lbs in the 2017 Body Shred Challenge. She did this by adopting a very active lifestyle, including daily exercise and walking everywhere. She attended a variety of classes and continues to be a regular member at the club today!